Are you trying to “Make it Work” by scoring some awesome seats for the ultimate in high fashion – New York Fashion Week? The newest auction at Charitybuzz offers a chance for you to bid on VIP tickets to the “Project Runway” finale show at New York Fashion Week at Lincoln Center on Sept 9, 2010. 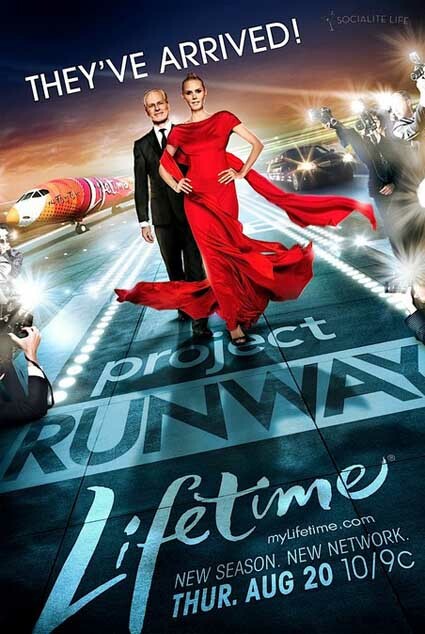 Hosted by the beautiful and multi-talented, supermodel Heidi Klum, the hit TV show “Project Runway” airs on the Lifetime Channel. The auction winner will not only receive four coveted tickets (not on sale to the general public), but also be seated in the 2nd or 3rd row, receive a backstage tour and be introduced to one of the former or current Project Runway contestants in attendance. The proceeds of the auction will benefit Rescue Me Yorkie, a charity dedicated to ensuring the safety and well-being of the Yorkshire Terrier breed.